When you are a product manager who is in charge of a successful product, you often become nervous when it becomes time to create and launch your next product. You want it to be a success also, but you’re not sure how to make this happen. Just imagine how the product managers at the aircraft company Boeing must feel when it comes time to create a new product development definition and design and launch a new type of airplane: how can they ensure that it will be a success and whom should they design it for? In the world of airplanes, Boeing designs their next airplane to meet the needs of the customers whom they believe will be buying the most airplanes in the future. When Boeing was first starting out, it was the U.S. carriers who ruled the skies. 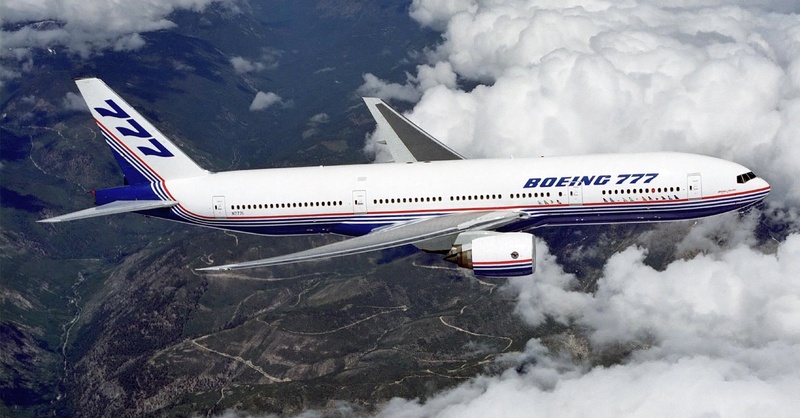 In recent years, when Boeing was designing the 777 and 787 models of their planes, Japanese and Chinese carriers where the targeted customers. Once again things have changed and the new customers who are leading the field are all located in the Middle East: Emirates, Etihad Airways, and Qatar Airways. These customers have unique requirements for the planes that they will be buying in the future. Two of these needs are the ability for the plane to be able to take off in extreme heat and to fly extra-long distances. The planes must be able to take off from airports on the northern coast of the Arabian Peninsula where temperatures can climb above 100 degrees F before midmorning. Additionally, these Middle Eastern carriers will be flying their passengers from the Middle East to destinations as far away as Sao Paulo and Sydney – up to 8,000 nautical miles. In order to meet the unique needs of these customers, the Boeing product managers have designed a new type of airplane, the 777X. This new airplane will have a wingspan of 234 feet, the largest that Boeing has ever designed, in order to help it take off in extreme heat. Boeing is also working with General Electric to design new engines that will be able to provide greater thrust. Finally, the plane will be able to seat up 350-400 passengers making the long distance routes profitable for the carriers. Sure sounds like this work can now be added to their product manager resume. Problem solved, right? You would think that if you could identify the set of customers who will probably purchase the greatest quantity of your next product, then you’d could customize that product to meet their needs then everyone would be happy. It turns out that this is not the case and already some of Boeing’s existing customers are starting to grumble about product decisions that the product managers have made. The problem that the Boeing product managers are facing is that a number of the features that they have included when designing the 777X model are not what their other customers either want or need. The changes that have been included in order to meet the needs of a tiny fraction of the world’s airlines on a few routes are going to cause headaches for everyone else. The features that have been added to the 777X are going to increase its weight. It turns out that in the world of airplanes weight is a big deal. Having more weight means that a plane will burn more fuel. This means that the plane will be more expensive to buy and fly. Deutsche Lufthansa has already started to complain. They have pointed out that 75% – 80% of their costs for an aircraft are the cost of operating that aircraft. Much of these operating costs have to do with how much fuel it consumes. Lufthansa was willing to become an early customer of the 777X in order to get promises from Boeing to not load the model with too many features that were only designed for Middle Eastern airlines. As product managers we all face a big challenge when it comes time to create our next product. We want it to be a success and so we go searching in order to discover who we believe will purchase the most of any product that we make. However, what we need to keep in mind is that we are also going to have to meet the needs of our other existing customers. In the case of Boeing, their product managers have designed the new 777X airplane to meet the unique needs of the up-and-coming Middle Eastern airlines. These new airplanes will be able to take off in extreme heat and they will be able to fly great distances. However, Boeing’s existing customers are concerned that the new 777X is being too heavily customized to meet the needs of a very small group of airlines. As a product manager you are going to have to be careful and balance the needs of all of the potential customers for your product. This really should be part of your product manager job description. Yes, there will some customers who will probably disproportionally buy more of your next product than other customers, but you need to be careful to take the time to listen to all of your customers. Ultimately, you are going to want everyone to buy your product and then to be glad that they did. Question For You: What do you think the Boeing product managers could do to meet the concerns of Lufthansa? Just how cool would it be to work in the world of high technology consumer goods? I mean we’re talking about products like the Apple iPhone, smart watches, the Kindle, Google Glass, and – the Nook? Yes, consumer electronics is an exciting place to have your product competing, but it’s a brutal market and if your product development definition just can’t keep up, then you won’t be in this game for very long. The product managers over at Barnes & Noble’s (B&N’s) Nook division realize that they have a problem on their hands and they had better do something very quickly or else it’s going to be game over. Hey Customer: Would You Like Some Time With That Product?